Cost to install an egress window varies greatly by region (and even by zip code). Get free estimates from window installers in your city. Cost to install an egress window varies greatly by region (and even by zip code). The cost of installing an egress window is $2,500 - $4,000. The word egress can literally be defined as "to emerge" and "a path out" and this is the main function of egress windows in any home. These windows are installed in specific locations in a dwelling as a means to provide an emergency exit in case of a fire or any other accident. This type of windows must meet specific requirements and size to be termed as an egress window. Residential building codes should have at least one egress window and that window must be a primary consideration during construction and design. Apart from providing you and your family an escape route in case of an emergency, egress windows add value to your home. These windows add more square footage to your home and this equates to greater value. When opened, egress windows allow additional light to pour in and also act as a high-quality basement ventilator, bringing in fresh air from outside. Depending on your property, you can also use these windows to boost the aesthetic value of your home. The average cost of installing a prefabricated below ground egress window can range from $2,500 to $4,000. Other factors, such as where the window is to be installed, also affect the cost. Initial installation may require grading, drainage system and evacuation for creating a safe space outside the window to make exit and entry easier. Some other factors which may bring up the cost include additional labor, engineering and equipment. Maximum Sill 1 Height from Floor: 44 inches. Minimum Clearing Once Opened: 5.7 square feet. In addition, these windows must be operational from the inside and must not need a tool or key to open. You may add grates or bars around the window but they too should be easy to open and not require any keys or tools. Egress windows may be installed in basements or in bedrooms, typically in rooms used for sleeping purposes. Below ground egress window installations require digging into the ground and cutting your way through concrete and brick walls. This means you will have to think about getting permits and permissions from city utilities. Hire a skilled contractor to do the job. It can cost between $1,500 - $2,500. Installing egress windows above ground is a fairly simpler process. Installing an energy efficient window will cost about the same as having any other window installed. It may cost around $500 to $1,000. Installing an egress window requires complicated handiwork, hence it is best you hire professional help. Installing the window includes the following tasks: Cutting a hole (this is only required in case of a fully submerged basement), installing the window, setting up the well and ensuring it mets the code in terms of grade, steps/ladder and drainage and cleaning up the interior, which includes trimming the egress window, including the drywall 5 wrap, casing, trim and insulation. As mentioned above, installing an egress window in the basement is more complicated and thus adds to the cost. Above-grade window installation for bedrooms and living rooms typically cost between $500 to $1,000 including labor costs. However, due to complicated nature of installing egress windows in basements, the project can cost you between $2,500 to $4,000 including labor costs. 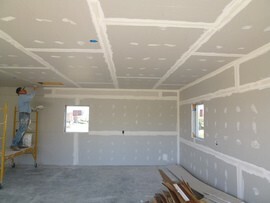 An experienced contractor should be contacted for this job. High-end windows with energy saving features often end up costing more than their single-paned counterparts, around 10% to 20% higher than other windows whereas installation costs about the same. Egress well escape systems are beneficial for added safety. They are an extension, typically with attached steps or ladders to result in easy escape. Installation costs can vary depending on the project but can cost between $1,500 to $1,800. 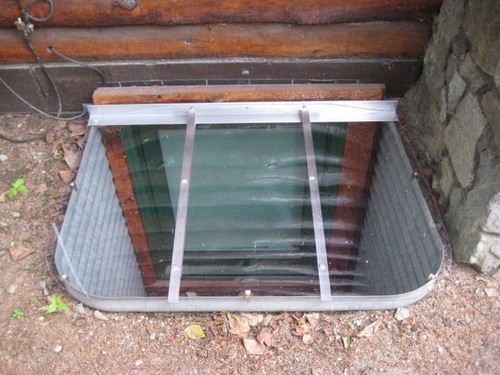 A well cover is a sheet of material designed to cover the well and basement window. It is installed to prevent accidents and prevent the buildup of snow, water and debris. Purchasing or installing a well cover can cost an average between $300 to $800. Egress window installation is certainly not a DIY job as you can potentially disturb the entire infrastructure of your home, including the pipes and drainage system. A sliding basement door on sloping property can act as a substitute for egress windows as long as it abides by the building codes and provides homeowners an emergency exit. You will need a permit prior to installing an egress window. While most permits cost around $150 however, it typically depends on the value of the product. Unlike installing other windows, installing egress windows require more planning. Installing an egress window requires permits from city utilities. If you have hired a contractor, he will get the permit for you. The warranty may vary from lifetime to limited time depending on the warranty. Digging the basement in order to make an egress can interfere with the utility lines. This is why you should hire a professional. You may also call 811 in case you are doing a DIY project to locate utility lines. According to the International Building Code, sleeping rooms and basements must have one emergency escape (this can be in the form of a skylight, patio and window) that leads directly to a yard, court, alley or public street. However, it must meet certain criteria. How much does it cost to put in an egress window? The average cost to install an egress window is around $2,500-$4,000. The average cost to remodel a basement is $90.48 per sq.ft, with an average remodel costing $50,000 with the inclusion of a full bathroom and an auxiliary room. An egress window is defined as a window which can act as a way out of the home. How much does it cost to put a window in a wall? The average cost of a new window is around $2,300, while a replacement window costs around $1,500 to $1,875 on average. How big does an egress window need to be? An egress window needs to be a minimum of 24-inches tall, 20-inches wide, and a maximum of 44-inches off the floor, opening to a minimum clearing of 5.7 sq.ft. What is an egress basement? Basement egress is a way out of the basement that does not involve using the stairs to the upper levels. Typically, this involves an egress window, but may also include a sliding basement door if the basement is installed on a slope. 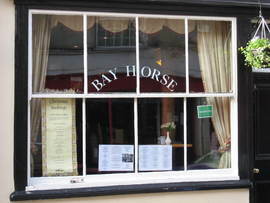 4 Single hung windows: An opening in the wall, consisting of a frame fitted with a glass pane, having one stationary sash and one movable sash. How much does it cost to install an egress window in my city? Cost to install an egress window varies greatly by region (and even by zip code). To get free estimates from local contractors, please indicate yours. A new “FAQ” section can be found at the end of the cost guide, where you can find information that may not be found in other sections. We have also added an image of the project and a summary at the beginning with the cost of intalling an egress window to help the user better understand the project, and an index to take you directly to any part of the guide. Cost Considerations: Single hung windows are generally 10%-20% less expensive than double-hung windows. If you are replacing the glass in your windows, expect to pay between $100 and $150 for a single hung window.